Starring Ava Gardner and James Mason and directed by Albert Lewin, this is a story of a nightclub singer woman who falls in love with a Dutch ship’s captain. It was filmed mainly on the Costa Brava in Tossa del Mar where you’ll find a statute of the leading actress. The film is known for the relationship Gardener had with the bullfighter in the movie, played by Mario Cabre. Cabre wrote dozens of poems about the American actress and Gardner herself confessed in her memoirs that although this film was her least well known, it was certainly life-changing. Based on the Hemingway book of the same name – this movie about the lost generation post WWI was shot in Paris, Biarritz, Pamplona and then Mexico. It was directed by Henry King and starred Tyrone Power, Ava Gardner and Errol Flynn, The scenes in Pamplona can be seen in the trailer below. Although many scenes were shot in Hollywood, director Stanley Kubrick insisted that all battle scenes be filmed on a vast plain outside Madrid. Starring Kirk Douglas, Laurence Olivier and Peter Ustinov, the film tells the story of a slave called Spartacus who leads a violent revolt against the decadent Roman Republic. Eight thousand trained soldiers from the Spanish infantry were used to double as the Roman army. All but one of the many gory battle scenes filmed were cut, due to negative audience reactions at preview screenings. Locations include Finca Navalahija at the Dehesa de Navalvillar at Colmenar Viejo and Alcalá de Henares in Madrid. Bet you didn’t expect to see this in a list of movies filmed in Spain? Set during World War I in the Middle East, the film reveals the conflict of interest experienced by a British officer on duty. It was directed by David Lean and starred Peter O’Toole. The desert scenes were shot in Jordan, Morocco and Spain. The director had planned to film more in Jordan but had to move production to Spain, due to costs and outbreaks of illness among the cast and crew. The attack on Aqaba was reconstructed in a dried river bed by Carboneras in Almeria; it consisted of over 300 buildings and was meticulously based on the town’s appearance in 1917. The execution of Gasim, the train attacks and Deraa exteriors were filmed in the Almería region. The Sierra Nevada mountains were used to portray Azrak, Lawrence’s winter quarters. The city of Seville was used to represent Cairo, Jerusalem and Damascus, with the appearance of Casa de Pilatos, the Alcázar of Seville and the Plaza de España. All of the interiors were shot in Spain, including Lawrence’s first meeting with Faisal and the scene in Auda’s tent. Directed by Sergio Leone. Starring Clint Eastwood, Lee Van Cleef and Eli Wallach. This film, set in the American Civil War, is about three gunmen searching for a missing box of Confederate gold. After studio work in Italy (the movie was financed by Italians), the outdoor filming took place near Burgos in the north and Almería in the south. Several hundred Spanish soldiers were employed to build a cemetery near Carazo (Santo Domingo de Silos in the region of Burgos) with several thousand grave stones to resemble an ancient Roman circus. Directed by Joshua Logan. Starring Richard Harris, Vanessa Redgrave and Franco Nero. Two separate Medieval castles in Segovia, Spain, were used in this motion picture. Sir Lancelot’s Castle in France was actually the Alcazar in Segovia. The opening and closing scenes were also filmed on the grounds of this same castle which may be seen in the background in the light of the approaching dawn. For Camelot itself, Coca Castle, also in Segovia, was used in long shots and background shots to depict the towers and battlements of Arthur’s legendary kingdom. Read our guide to the amazing castles and alcazars in Castile here. Directed by Steven Spielberg, this blockbuster starred Harrison Ford and Sean Connery. This is the film where Indiana Jones and his father Dr. Henry Jones Sr. pair up to take on the Nazis. Filming took place in the Tabernas Desert in Almería and in the fine art museum in the city of Almeria which was the set for the Sultan of Hatay’s palace. Cabo de Gata-Níjar Natural Park was also used and the beach sequence in which birds strike the plane happened at Monsul beach (which you can see below). Guadix train station in Granada also featured in the movie. Directed by Michael Apted and starring Pierce Brosnan, Judi Dench and Sophie Marceau, the film’s pre-title sequence begins in Bilbao, Spain, featuring the Guggenheim Museum which had been opened just two years earlier. The delightful Puppy sculpture by Jeff Koons of course, features! You can read more about Bilbao and the Guggenheim in our guide here. Directed by Alejandro Amenabar and starring Nichole Kidman. Filming took place at Kent and also at Hornillos Palace in Las Fraguas, Cantabria (Spain) and in Madrid. The chilling tale is set in Jersey after WWII and revolves around a mother with two young children who suffer from photosensitivity. 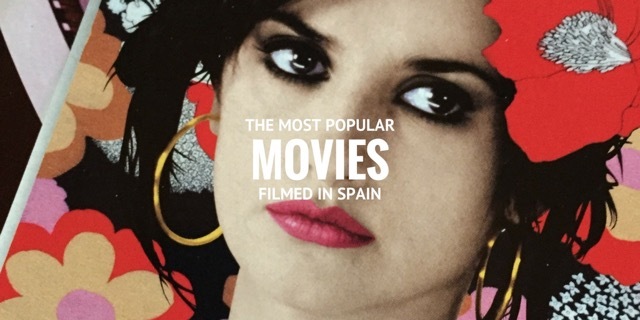 It was the first English-language movie to win a Best Film at the Spanish Goya film awards. If you’d like to know more about Cantabria, click here. Another one you might not expect to see in a list of movies filmed in Spain! Pierce Brosnan is in the lead role as James Bond, this time directed by Lee Tamahori, and starring Halle Berry. The scene below featuring Halle Berry in a bikini was shot in Cádiz. The scenes involving the Cuban locations of Havana and the fictional Isla Los Organos were filmed at La Caleta. Directed by George Lucas. Starring Ewan McGregor, Samuel L Jackson, Natalie Portman and Hayden Christensen. Fans will recognize the Plaza de España in Seville immediately even though it only made 48 seconds of the film. You can see it below – apologies for the quality of the video. And you’ll find the deleted scenes online. 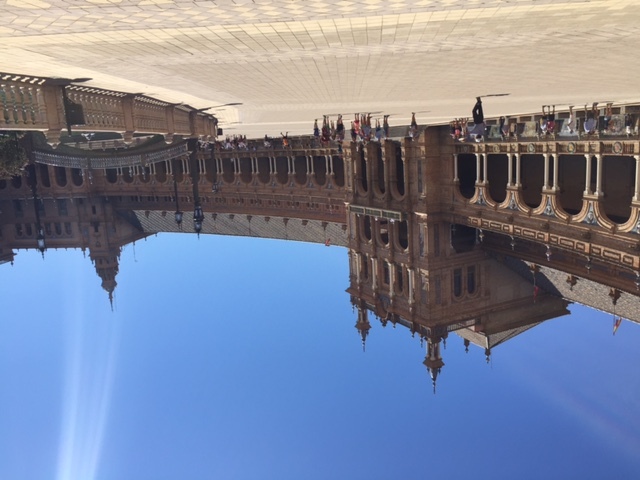 If you want to see of Seville’s amazing plaza and other stunning squares in Spain, read our post here. Pedro Almodovar has directed many great movies including Women on the Verge of a Nervous Breakdown, All About my Mother, High Heels, Bad Education, Volver. He is from Calzada de Calatrava in Castilla la Mancha and chose this region for many of the scenes in ‘Volver’ which starring Penelope Cruz and Carmen Maura in a story about family relationships and what a mother will do to protect her daughter. As you’d expect from the film title, Barcelona is the main backdrop for this movie directed by Woody Allen and starring Javier Bardem, Penelope Cruz and Scarlett Johansen about two American friends on vacation in Barcelona who meet a Spanish painter and his ex-girlfriend. Much of the footage is in Barcelona although the crew nip over to Aviles and Oviedo in the region of Asturias for a few days. The movie offers a box-ticking list of what to see in Barcelona including La Sagrada Família, Parc Güell, Casa Milà (La Pedrera), the Miro Museum, the Ramblas, the Barri Gòtic and the Olympic Port area. If you’d like to know more about the Sagrada Familia and Park Guell, read our post on Gaudi’s Barcelona. For more on the city, read our post on What to See & Do in 48 hours. To learn more about Asturias, read our guide to Northern Spain and our post on Asturias. We keep hearing from people on the Camino who have been inspired to walk the route after watching this movie directed by Emilio Estevez and starring Martin Sheen. It’s especially impressive when you read that some of the actors were hired just before filming started. Filming only lasted 40 days and took place on the pilgrimage route itself. In fact, most of the people in the film are pilgrims walking the route themselves. Pro-tip: We’ve organised lots of Camino itineraries so if you’re curious to learn more, see our posts on The Many Ways of Doing the Camino, The Best Camino Driving Routes, and Cantabria’s Camino Lebaniego! The Trip to Spain (2017) stars Steve Coogan and Rob Brydon and is directed by Michael Winterbottom. As the title suggests, the actors take you on a tour of some of Spain’s more scenic drives and finest restaurants in Cantabria, the Basque region, Aragon, Rioja, Castile La Mancha and Andalusia. Not a bad way to plan a trip yourself as the scenery is pretty impressive. 18 More interesting backdrops to soak up? What about a Cantabria themed movie-fest? Fans of Antonio Banderas might be keen to visit the scenes of Finding Altamira (2016) directed by Hugh Hudson filmed in Cantabria such as the caves, the Capricho de Gaudi and Santander. Cantabria in Northern Spain has also been the location for the biopic on the beloved golfer Seve the Movie, (2014) plus a remake of Heidi (2015) and the feature length documentary Cantabrico (2017). You can read more on Cantabria in our post on Altamira the movie and check out lots more content here also. Season 5 featured Seville’s Plaza de Espana and the Alcazar plus in greater Andalusia, the town of Osuna’s Plaza de Toros and the city of Cordoba’s Roman bridge. 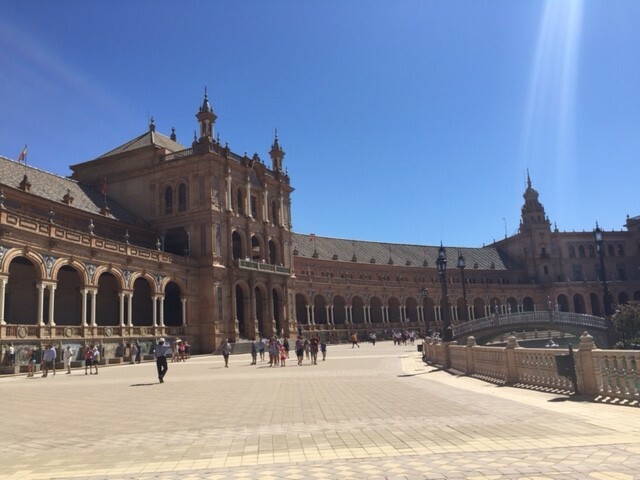 Read Seville resident blogger Fiona Watson’s post on the Alcazar here. Season 6 features Girona’s old quarter and its cathedral plus Bardenas Reales, Zafra Castle, Peñíscola, and Almería. 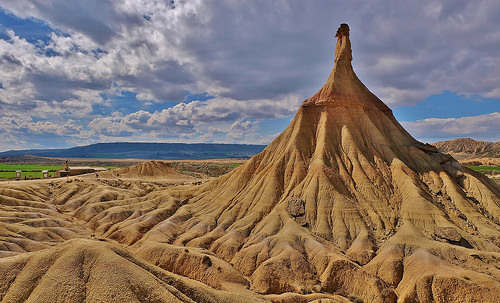 Read the Guardian article about Bardenas Reales in Season 6 here. Season 7 includes the dramatic Basque Country coastline plus Cordoba again and the old quarter of Caceres (read about Caceres here and see our own guide to Extremadura). Read the Telegraph’s piece about the Castillo de Almodóvar del Río, Itzurun & San Juan de Gaztelugatxe here in Season 7 here. Season 8 rumours abound – and we’re quite sure the GOT crew will be back. In the meantime, why not plan a trip inspired by these amazing locations! Posted in Andalucia, Asturias, Barcelona, Bilbao, Cadiz, Camino de Santiago, Cantabria, Castilla la Mancha, Castilla Leon, Castles, Granada, Guggenheim Bilbao, Madrid, Madrid Region, Popular Posts, Santiago de Compostela, Seville, Valencia and tagged Alcala de Henares, Almeria, Ava Gardner, Barcelona, Burgos, Cadiz, Camelot, Camino, Castilla-la-Mancha, Colmenar Viejo, Cuenca, Doctor Zhivago, filming in Spain, Game of Thrones, Granada, Guggenheim Bilbao, Halle Berry, Hemingway, Indiana Jones, James Bond, Las Fraguas, Madrid, Nicole Kidman, Pamplona, Penelope Cruz, Peter O'Toole, Salamanca, Segovia, Sergio Leone, Seville, Sophia Loren, Soria, Spain, Spain movies, Spanish cinema, Stanley Kubrick, Star Wars, Valdemoro, Woody Allen.